Directions: Whiles sitting, cross your leg and grasp your foot with one hand. Pull your foot downward as far as you can. 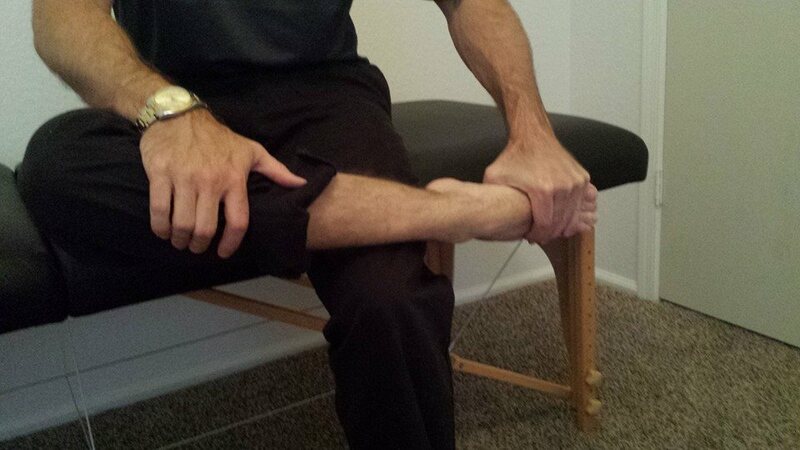 Angle your foot inward or outward to try and get the best stretch. Make sure you are getting to end-range. Repeat as indicated by your therapist. This exercise requires adherence to the "Stoplight System."